Nokia's next flagship was scheduled for a 2018 release but has now been pushed back to 2019 to coincide with the MWC 2019 show, according to a Phone Arena report. The story is that HMD Chief Product Officer Juho Sarvikas decided that the Nokia 9 required further refinement before it got released, and this has pushed the timeline to early 2019. Last year a similar thing happened with the Nokia 8 Sirocco. This flagship device was originally scheduled for a late 2017 relapse but Sarvikas decided the device was "not quite ready for announcement," prompting the unveiling to be delayed until MWC 2018. Thus it looks like history repeats itself - but a timely launch plagued with glitches and bugs is probably worse for PR / device sales than a delay of a few months. Rumours are swirling around that the recently leaked images were the result of some HMD employees being annoyed about the delay. Recently YouTube's Concept Creator created an animation based upon the leaked images, which you can see embedded below. 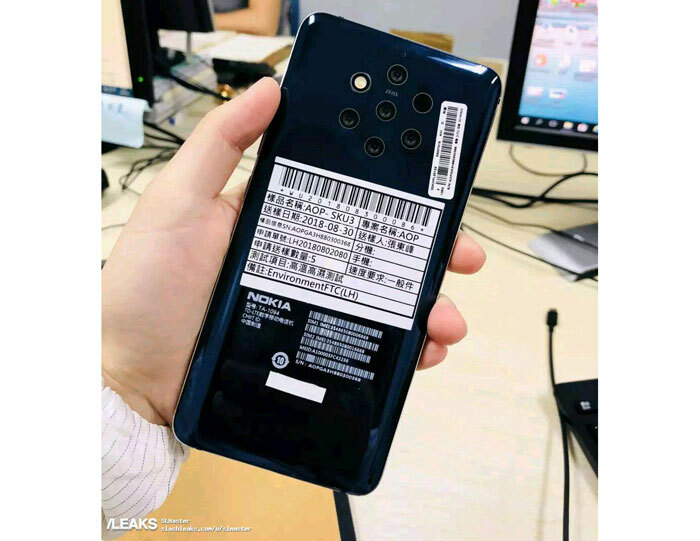 We have a few more details from various sources, about what the Nokia 9 will deliver in terms of specifications. 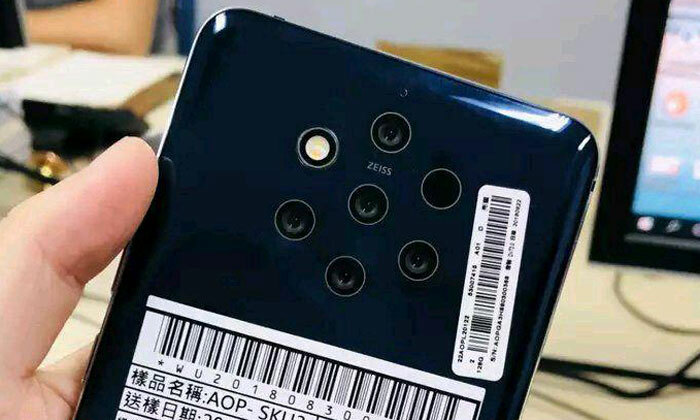 Most reports say that this phone will come with a very narrow bezel display (no notches), with a Qualcomm Snapdragon 845 inside, and the innovative penta-lens Zeiss optics packing camera system around the back. Obviously, specs could change between now and Feb 2019. In related news, HMD now has a chance to revive PureView and re-unite it with Nokia smartphones, as in late August it acquired this trademark from Microsoft. Wouldn't the dark lens opposite the flash be a rangefinder? My lg g5 had one alongside the main lens, would make sense for one here as well. Wouldn't having many smaller sensors for the different focal lengths make for worse image quality? They do try and use a mono sensor to help with things,since it should be in theory more sensitive than one with a Bayer array over the top,but since phone companies are obsessed with thinness,it means they cannot put larger sensors as it will mean a thicker phones….how convenient. I will only be happy when the sheer number of cameras means a system can be described as anisotropic. Or something. Mobile phone manufacturers are desperately scraping the bottom of the ideas barrel now. Next up from the bilges: A second notch at the bottom of the screen.